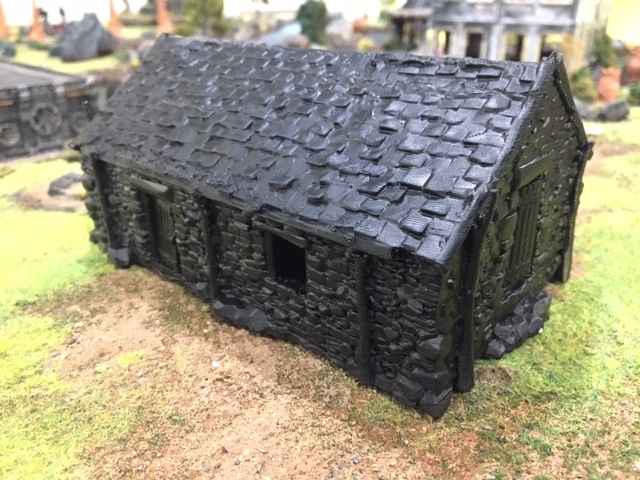 This step by step guide will show you how to prepare then dry-brush the stone barn. 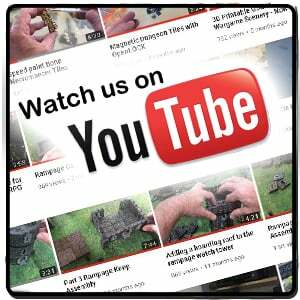 For more information on dry-brushing, please check out the speed dry-brushing tutorial. 1. 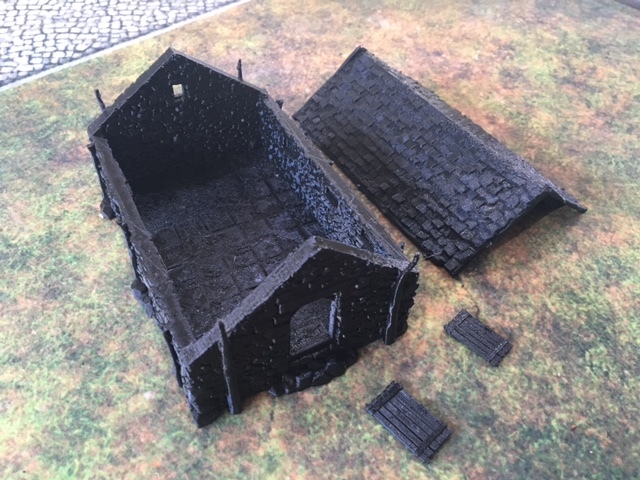 Print the stone barn and roof with supports switched off at 0.2. 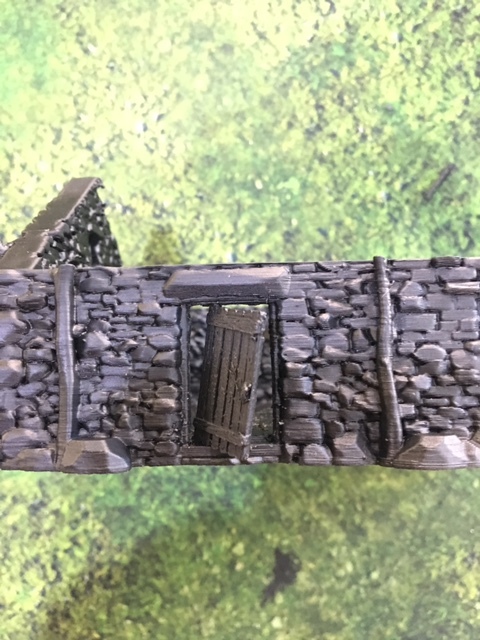 The doors should be printed on a raft at 0.1. 2. 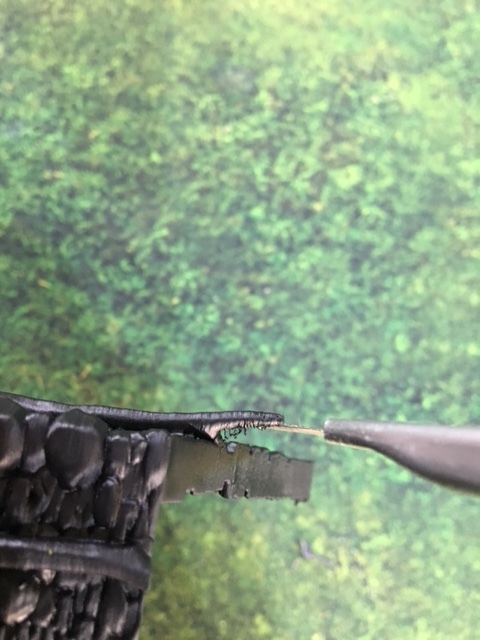 Using a craft knife, carefully cut off stringy plastic, taking care not to break the upright parts. 3. Spray a good layer of black matt primer covering the whole model. 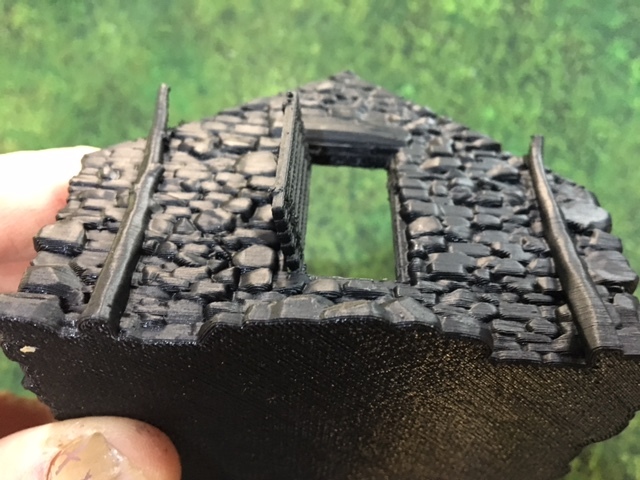 Primer is important because it sticks to the plastic and creates a surface that paint can stick to. 5. Windows can be left in or cut out. 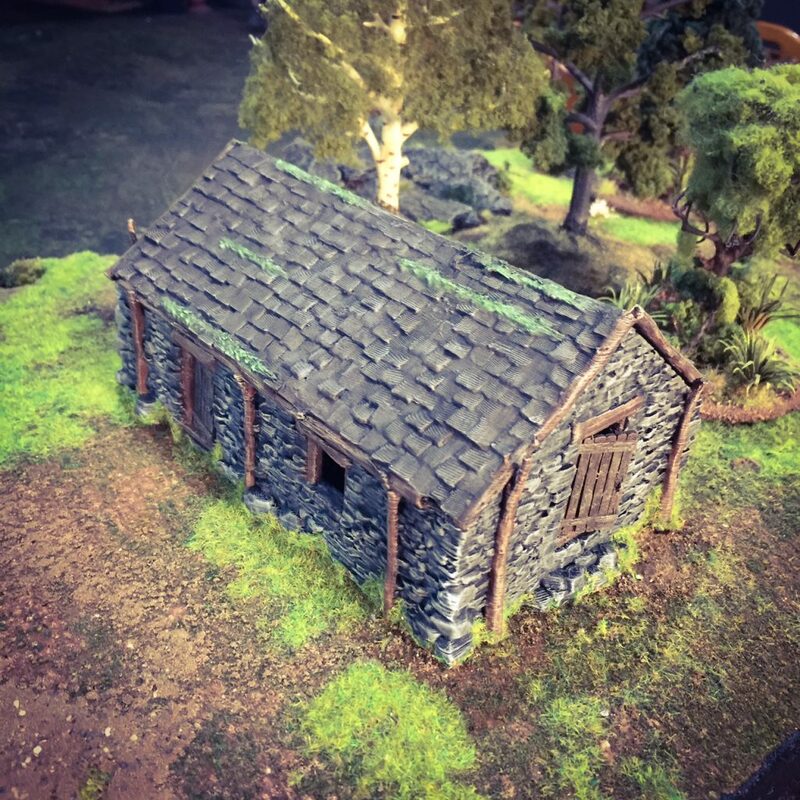 We used The Army Painter Warpaints to dry-brush the stone barn, as pictured here. Dry-brushing is a painting technique in which a paint brush is relatively dry, but still holds paint. Dip the brush into the paint and then wipe off excess paint onto a paper towel till the brush is nearly dry. 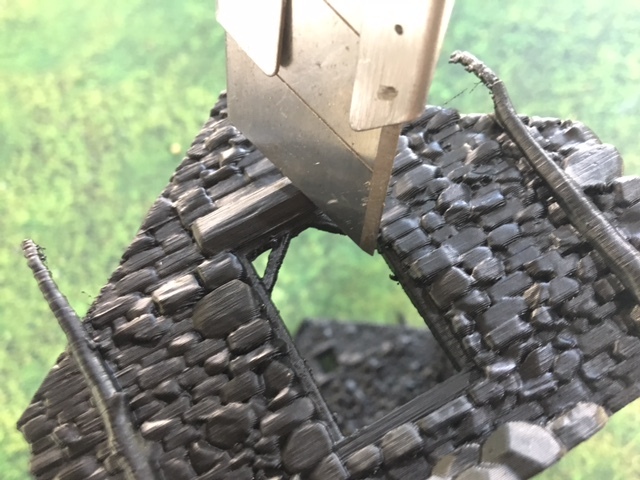 Brush quickly over the model, this will add highlights and texture. Repeat the process with a lighter different color to add more highlights. 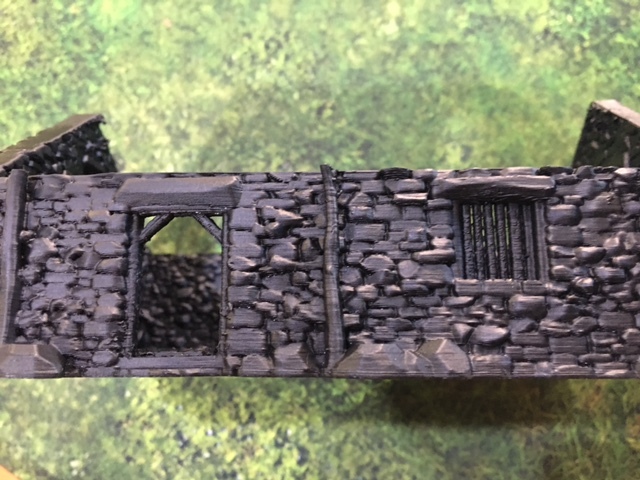 Please see the below images to see the results of this dry-brushing process on the stone barn. 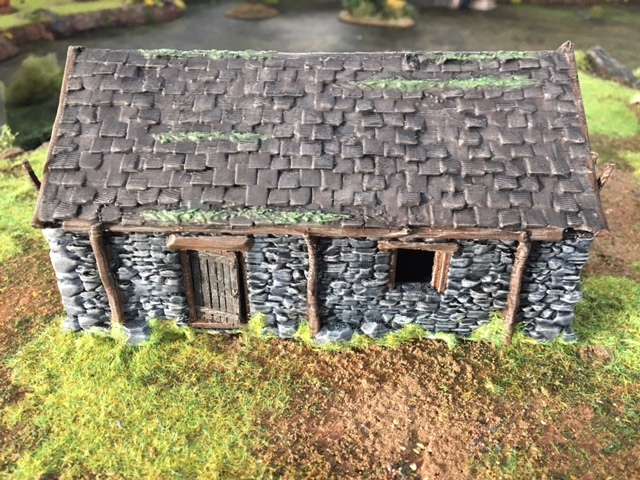 As a finishing touch after dry-brushing, we added PVA glue around the bottom edges of the stone barn, then flock to finish the effect of added moss and grass. 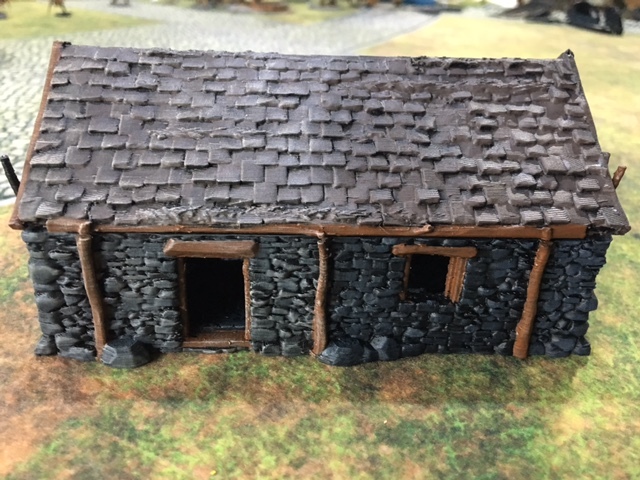 Doors, windows and wooden support poles around the stone barn are dry-brushed in ‘Dirt Spatter’, then highlighted in ‘Banshee Brown’. You can see in the picture the distinction between the base and highlighted parts. 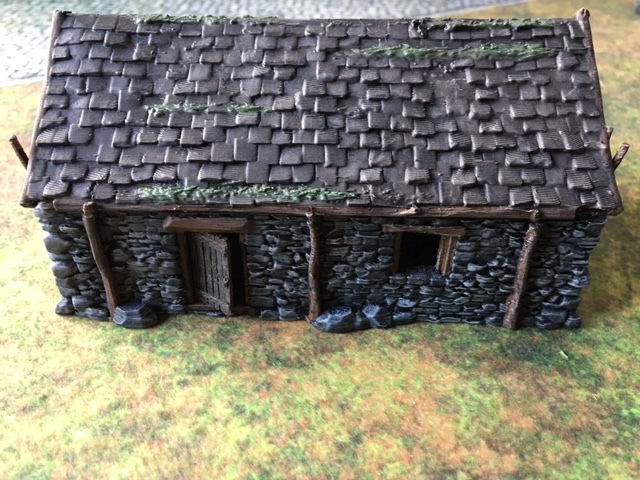 Moss on the stone barn roof is dry-brushed with ‘Goblin Green’, then highlighted with ‘Snake Scales’. 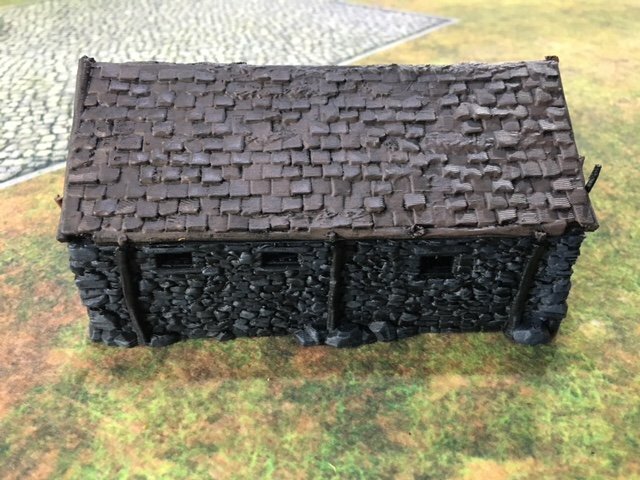 The finished stone barn with added flock around the bottom edges. 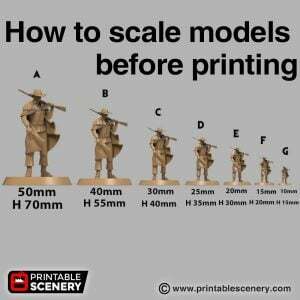 Hi, what type of primer should be used a brand name would be useful, even if not available in the UK. I can checkout the constituents and get a match. 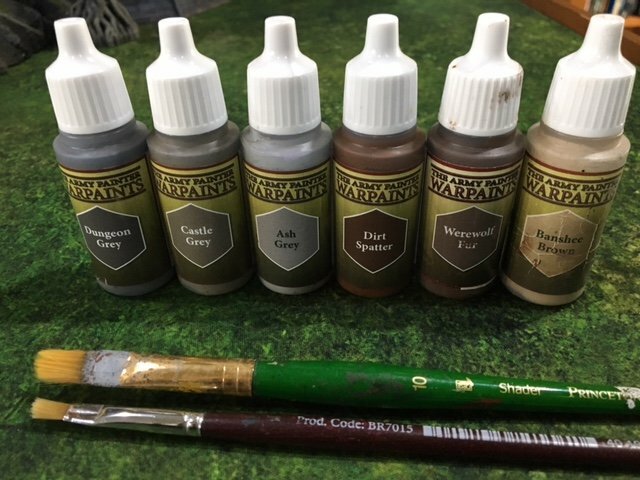 We typically use rustoleum matt primer or any other Army Painter or GW matt primer will do the trick.